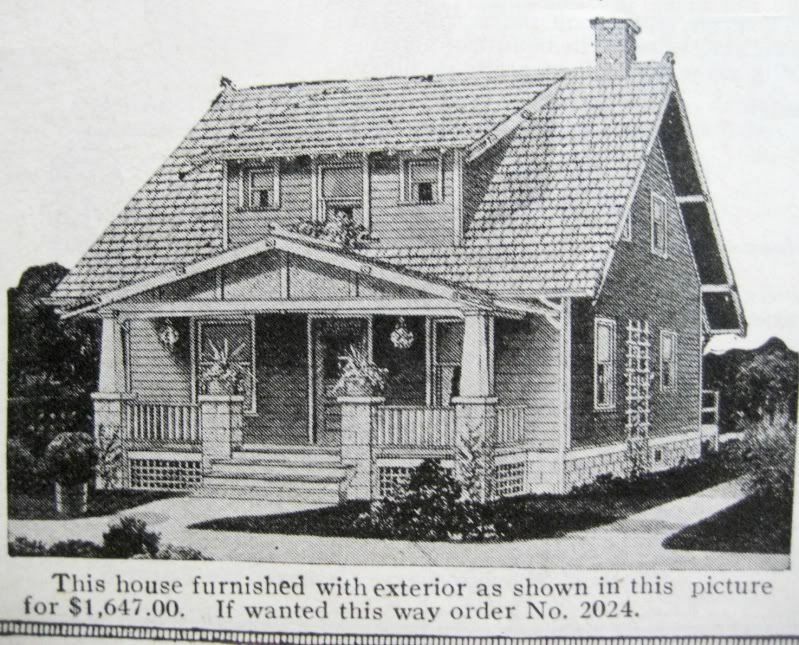 Some time ago, I was looking through the pages of my 1923 Sears Modern Homes catalog when I happened upon this interesting snippet (see below). 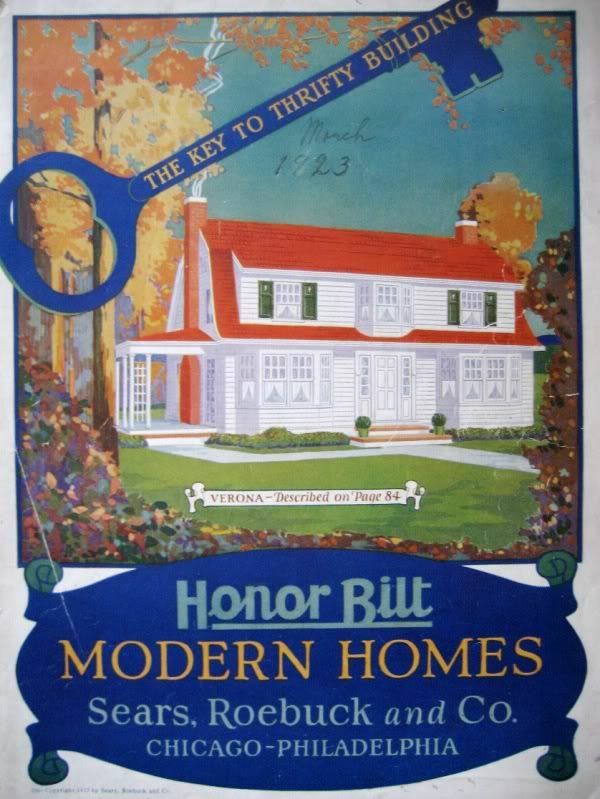 According to this little graphic, there were four Sears homes built in a row somewhere in a 1920s neighborhood in Atlantic City, NJ. 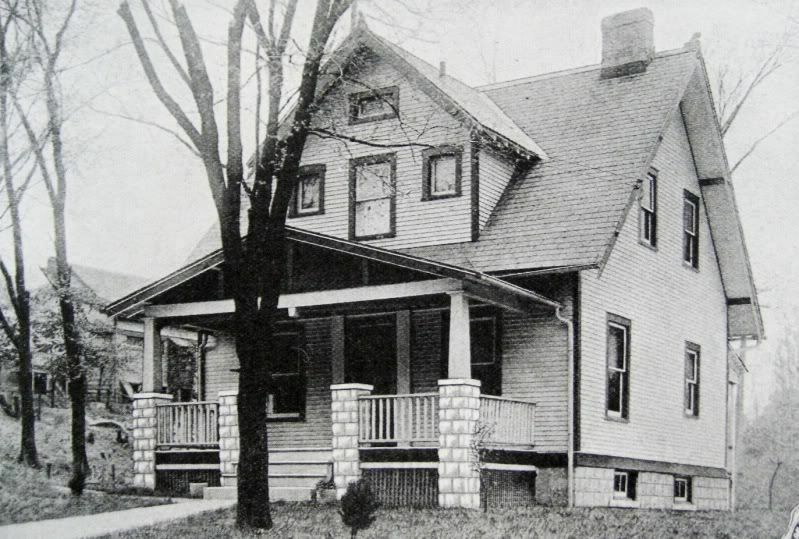 It’s likely that there are many other Sears Homes in the area, too. There was a massive Sears Mill in Newark, NJ, so I’m confident that there are many Sears Homes in and around the New Jersey area. In posting this info, I’m hoping and praying some kind soul that’s familiar with the area will drop me a note and tell me where to find these four little Marinas in Atlantic City, NJ. Post your response in the comments section (below) and leave an email address and you’ll hear from me pretty quickly. 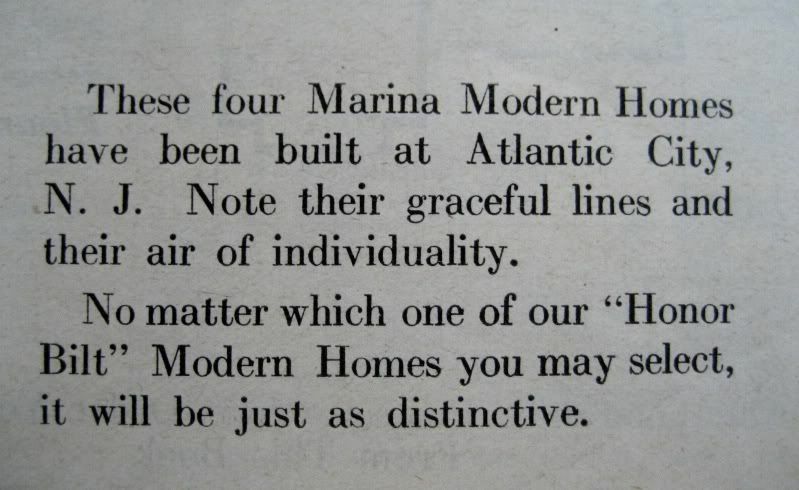 Everything I know about the Sears Homes in Atlantic City, I learned from this paragraph in the 1923 Modern Homes catalog. Penrose Avenue. One looks like its been modified. Why Is the Porch Ceiling Blue? Is Your City on This List? If So, You Should Be Looking for Sears Homes!